Peter and the Starcatcher Group Tickets a Must | All Tickets Inc.
Peter and the Starcatcher is a fantastic audience experience. In a few weeks the Tony Awards will be given out and Peter and the Starcatcher certainly has a good shot at hitting the jackpot. The play, which is a bit of a conundrum as far as genre is concerned, has received nine Tony nominations and All Tickets Inc. has found that it is a hot ticket. The nominations are for best play, score, featured performers (Christian Borle, Celia Keenan-Bolger), direction and design (scenery, costumes, lighting, sound). The show was a big hit last season Off-Broadway and after the Tony nods were announced ticket sales really picked up on Broadway. As was mentioned in a prior All Tickets Inc. blog, this play tells the story of Peter Pan before he became the boy who would never grow up. Based on the kid’s novel by Dave Barry and Ridley Pearson, this is a clever, high-energy adaptation for the stage. Written by Rick Elice and directed by Roger Rees and Alex Timbers, Peter and the Starcatcher is a dazzling, high-octane show. Who Should Go See This Play? The answer is anyone who likes to see GREAT theatre. It’s that simple and in some ways that complex. 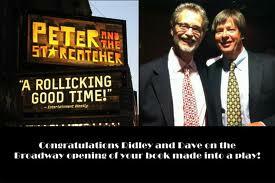 The reason it is complex has to do with the fact that Peter and the Starcatcher is so hard to categorize. Here’s some information on this show. It’s a great play for kids and yet it also has a lot of wonderful stuff for grownups. There’s adult humor that will go right over the kid’s heads and into the mom and dad laugh system. 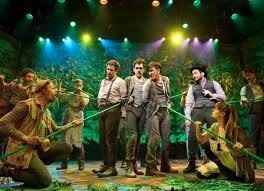 It is not a musical and yet it does have some fine musical numbers. It’s a lot of fun but it also has some intense drama. Really young children may find this show a bit long and confusing; there’s an interesting cumulative effect that occurs when one watches Peter and the Starcatcher. Act II is as engaging as any set of scenes that have ever occupied a stage on Broadway. 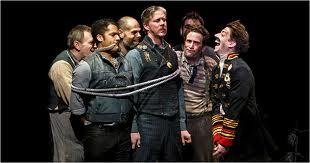 As far as the Tonys are concerned, Peter and the Starcatcher tops the list in the number of nominations. Other Desert Cities is second with five and the musical that leads all productions is Once with 11. For whatever Peter and the Starcatcher may be, one thing is for certain—it is an amazing theatrical experience and a great event for groups. For more information or to secure your group discount tickets call All Tickets Inc. at 800-922-0716 or contact us via the web. All Tickets Inc. still has a special COMP PROMO for this show and it is in effect until May 31, 2012. So book quickly to secure some free tickets! And don’t forget the comedies and dramas we highlighted in our last two blogs. There are a lot of premium theatre experiences and big discounts for groups.